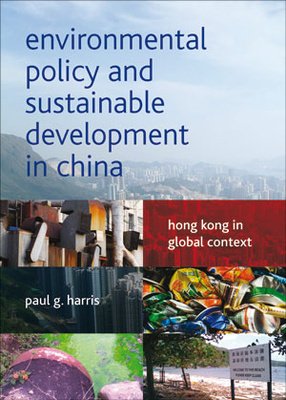 Paul G. Harris, Environmental Policy and Sustainable Development in China (Bristol University Press/Policy Press, 2012). Drawing on practices and theories of sustainability, Environmental Policy and Sustainable Development in China explores the prospects for achieving environmentally benign economic and social development in China and beyond. Using the Chinese “world city” of Hong Kong as a backdrop and case study, it introduces major conceptions of sustainability, describes historical and political contexts for environmental policymaking, and analyses key challenges related to sustainable development, including air pollution, water quality, waste, transport and climate change. Environmental Policy and Sustainable Development in China is intended to be a valuable and unique resource for students, teachers and readers interested in environmental policy, sustainable development and ecological governance, especially in China and Hong Kong.